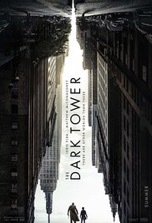 Having read the first book of Stephen King’s The Dark Tower novel series in advance of viewing the film of the same name, I’m disappointed in director Nikolaj Arcel’s efforts on several levels. First, only about ten minutes of the movie comes from the first book (primarily the Western scenes). Second, none of the atmosphere (“They could see the smooth, stepped rise of the desert into foothills, the first naked slopes, the bedrock bursting through the skin of the earth in sullen, eroded triumph”), poetry (“Time’s the thief of memory”) or visual vitality (“The guns did their work, stitching the darkness with red-white lances of light that pushed needles of pain into the gunslinger’s eyes”) of King’s book has been translated onto the big screen. Third, in the mold of Percy Jackson & The Olympians (2010) and The 5thWave (2016), The Dark Tower is told through the eyes of a young teenager and has that family-friendly, teen peril vibe to it that belies the book’s somber, sullied soul. Indeed, the book is much more adult (bars, brothels and bullet storms) than the movie and focuses on the exploits of the adults: Roland/the Gunslinger (Idris Elba) and Walter/the Man in Black (Matthew McConaughey). Although the stars are well suited (and enjoyably cast against type) to their roles, they both seem bored with the material. Much like his stiff portrait in Pacific Rim (2013), Elba turns in a one-note performance here. McConaughey, who is supposed to be playing a latter-day grim reaper, is not nearly as menacing as he should be in the role. Case in point: Walter verbally abuses one of his minions for having a rat face. By contrast, Darth Vader would’ve just Force choked the offensive underling and signaled for the body to be dragged off. The best part of the film is Tom Taylor as Jake. Jake, who has visions and powers (chief among them is his skill with a pencil and art pad), is an interesting character that, due to the uninspired writing by Akiva Goldsman, et al., never develops into anything more than Roland’s 2D sidekick. In the end, the film’s commercialized story is its Achilles’ heel, since adherence to the source material would’ve made for a subtly nuanced, psychologically complex pursuit film. The end result here is a glorified teen film that attempts to emulate the visual ingenuity of The Matrix (1999) and Doctor Strange (2016), but ends up resembling (in quality if not movie magic) Tomorrowland (2015). King’s early masterwork deserved a much better cinematic fate.